Hello bookish friends and club members! Wow, what a week it’s been: a whirlwind of wrapping, packing, posting and planning! But there is no better feeling than waving the post van goodbye after another successful send out and seeing you all recieve your November Haunted Minds boxes really makes all of the hard work worth it! We thought it was high time that we shared with you all exactly what we included in our October box before we launch ourselves full-throttle into all the Christmas preparations! We were so excited to be able to create a Quests and Legends themed box, as those of you who know us are aware, we love a good adventure story! In fact I’m pretty sure I was sold on this book as soon as I heard that there was an appearance by a dragon! Kate (who was a few chapters a head of me when reading the ARC actually sent me a photo of the word ‘dragon’). So without further ado… here is a full run-down of all of the gorgeous items that we we included in our October Quests and Legends boxes. Scrolled Invite: Put your questions to Lisa Lueddecke at our members-only online book group. Mountain Earrings by Kate’s Little Store: Stylish studs for the ears of brave explorers. Crafted by quirky jewellery designer, Kate Rowland. Books are Better Bookmark by Hughes Laser Design: Well said George R.R Martin! Intrepid explorers don’t need sleep – we have brilliant books! Mark your place with this wooden bookmark from master craftsman Rob Hughes. Bookish Goodies: With thanks to our friends at Scholastic, Hot Key Books and Hodder & Stoughton. 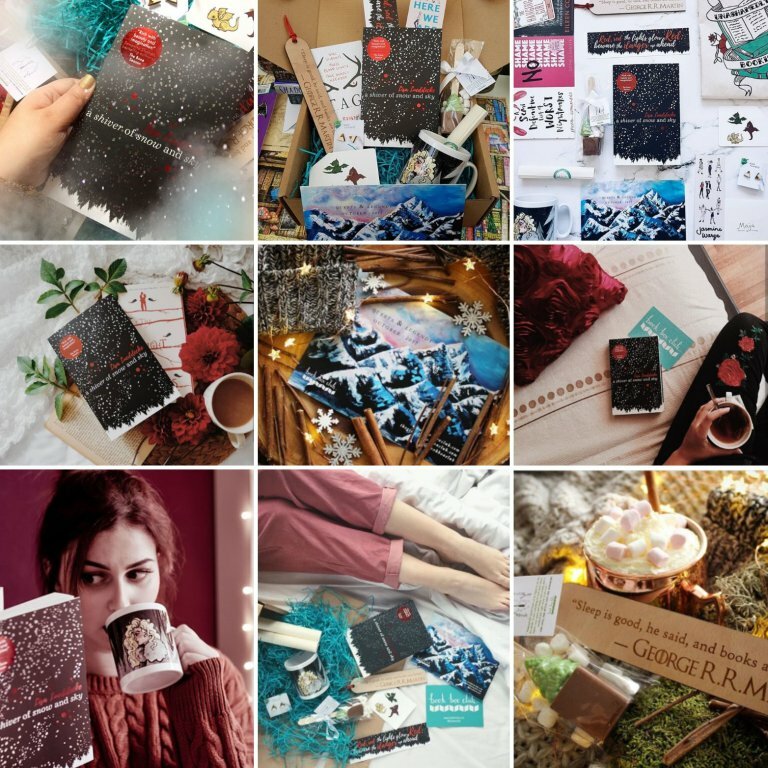 Thanks to @sinzianaromanescu, @moon_kestrel, @bookishaddicted, @booksfemme, @webookingloveit, @roreads, @book_roast and @bookishbronte for these gorgeous photos. 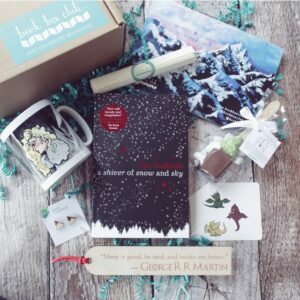 Thanks so much to all of you who have posted about our box this month- we have LOVED seeing all your excited unboxings beautiful photos and (of course) hot chocolate tastings! You guys are amazing and we feel very lucky to have so many creative people in our gang!